At Motordepot we have always believed that our previous customers are the best possible advertisement for the unique car-buying experience we offer. To that end we allowed independent review company Judge Service to collate our customer reviews. We are pleased to say we have now passed the landmark figure of 10,000 Judge Service reviews in just under 18 months! 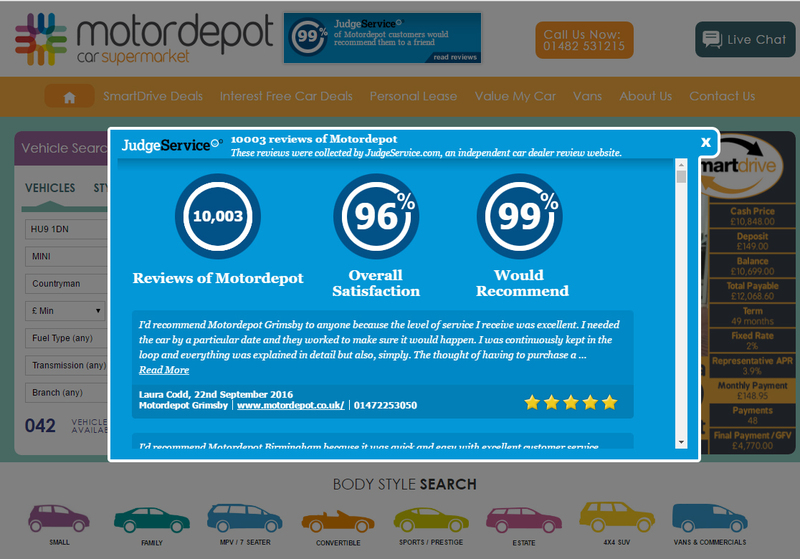 We're really proud when Judge Service tell us that we have an overall satisfaction rating of 96% and absolutely delighted to hear that 99% of our customers would recommend Motordepot to their family and friends. We'd like to take this opportunity to say a huge thank you to all our previous customers. Here's to the next 10,000!